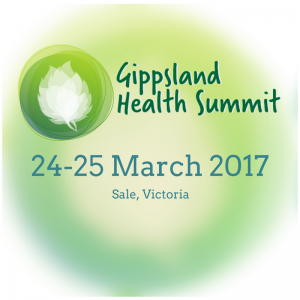 Gippsland Health Summit … Why? What is it? – Good Practice Good Health Inc.
My husband Tim died in 2011. He was 41 years old and we had children who were 6, 8 and 10 years old. That was hard …… the community held us and is still holding us. We felt safe and loved so we could find our way through the dark. No one felt the same pain that we felt, or can ever really know what our private, personal, pain feels like. And each of us carries our grief in our own way. Tim was living with cancer for nearly four years before he died. We spent a lot of time in hospitals and clinics during those years. Waiting for test results, listening to a foreign medical language, meeting a lot of new people, doing our own research on google and in books, trying to decipher what it all meant…. for his body….. for our family…. for the future. The four of us are still trying to work out what it all means…. Illness, grief, health, wellbeing, performance, this is the stuff of my daily life as a psychologist. I have studied pain, wellbeing, performance, motivation, and habit for twenty-five years. I have, in these last ten years lived with the experience of my own pain, my husband’s pain and that of our children and many other’s besides. All of it can be lessened or amplified by poor communication, by a lack of empathy and understanding, by technical skill being given priority over human connection. I could write a book, lots of people tell me I should. I’m more interested in connecting, looking people in the eye and asking them “what’s your experience?” And it’s hard – for them and me, but somehow people feel better afterwards when their pain is seen for the challenge that it is – painful, difficult. That’s how the idea of the Gippsland Health Summit began. Wondering how do we get the best combination of technical skill and human connection, working together to help the person be well? Tim received good, often incredible, technical medical care. Sometimes we even said “who cares about the bedside manner as long as they can deliver the hoped for outcome!” Mostly though, we needed more human connection in those most trying of emotional and spiritual times. My research indicated that others needed this too. In fact, the more I looked the more obvious it became that it wasn’t just me asking these questions, there were health professionals dedicating their careers to the pursuit of the answers. Since Tim’s death I have sought to understand how to share our experiences in ways that will be useful. A terrible health situation is still a terrible health situation. And yet, perhaps patients and families can feel better about their care by being more actively acknowledged and included. Perhaps health professionals can experience a little more job satisfaction through this human connection, feel supported and valued for the critical work they do in our communities – even in the face of the worst possible outcome. I also needed to feel like I was contributing in ways that went beyond formal training and silo’d learning with other psychologists. I wanted to hear the questions that other patients and carers asked the experts. Did they want to know the things I wanted to know about health and illness, grief and loss, being a carer, a patient, a doctor? What about health professionals in other crafts? I wanted to know what was important for them in their work, why did they do it? How did they keep going? I am a health professional and work within the health system too. I saw the doctor who took his glasses off and rubbed his eyes when Tim and I were firing hundreds of questions at him in our distress and disbelief. I saw the nurse who didn’t respond to the dying man in the next bed who couldn’t speak English well and called out “Sista, sista!” constantly. I meet with clients every week who tell me about how the health system let them down or wasn’t what they expected it to be. I meet doctors, psychologists and nurses every month, who are burnt out and don’t know if they can keep working in rural areas. When I started talking about these issues I discovered a growing number of health professionals who shared my concerns. 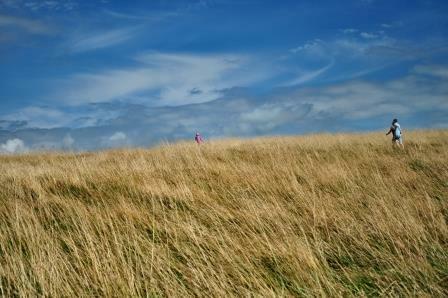 How will we keep excellent health professionals in rural areas and prevent them from burning out? Could we improve health outcomes with more patient and family engagement? How do we need to change our communication? Who can teach us and help us continually learn? Health Professionals are working extraordinary hours and often without enough resources or support, with training that emphasizes technical skill and academic excellence above all else and underplays the power of human connection. Patients and their families are often in totally unexpected circumstances in a parallel universe to their normal lives, when they enter the health system. All are human and all do better when they feel safe. Trust, respect and support create a sense of safety so we can find our way through the dark places that life presents to us, from time to time. The Gippsland Health Summit invites people – patients, their families, health professionals and anyone who cares about health care – to join together, growing trust, understanding, and empathy by having conversations, together. Learning together, from each other. Conversations stimulated by experts who have thought deeply about professional – patient communication, in an effort to make sure that the best combination of technical skill and human connection are brought to bare on helping the person be well. Better communication and greater empathy results in less medical errors, improved patient safety and even quicker healing. Dr Robin Youngson and others have thought about these questions for a long time, he has found that taking a little more time to connect initially with patients builds trust and that this in fact, means the planning and decision making about health in the longer term is more efficient and more effective, as a result. Work at Stanford University Medical School in this area has found that practicing compassion results in pleasure, reduces stress and promotes the immune system (Dr James Doty, Stanford University Medical School). Communication skills, empathy and compassion can all be learnt, with conscious effort. Without some awareness and attention to these skills they simply atrophy. 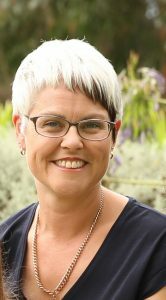 Our visiting speakers at the Gippsland Health Summit are teachers of incredible note. They are attracted to our events because the events themselves are unique. Nowhere else is there an opportunity to speak with health professionals and patients. Like me, they have found benefit in growing their skills in human connection (empathy) and effective communication and they want to be a part of what we are doing. They are excited to be a part of discovering how health outcomes might be improved by more conscious focus on empathy, understanding and communication. It’s an amazing opportunity for our local health professionals to be a part of this new movement to ensure that the best combination of technical skill and human connection are brought to bare on keeping our community well. The Gippsland Health Summit this year is focused on mental health and patient centred care. Lets create a different kind of health care where we live – health care that holds human connection as central to every action.